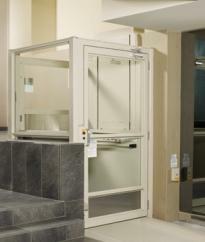 Accessibility for New England is proud to be an authorized supplier and installer for Savaria Wheelchair Lifts. A practical and economical solution for people who face mobility and accessibility problems within their own homes, but want to maintain a healthy, happy, and active lifestyle without having to move. 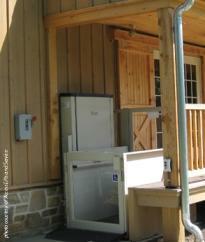 Choose from our wide selection of wheelchair lifts — and even customize it to solve any unique challenge that your home presents. 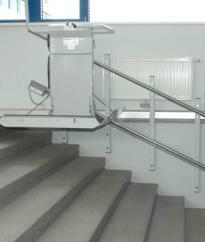 If your project has multiple levels, turning stairs, curved stairs or stairs with intermediate landings, please see the Savaria Omega inclined platform lift.